Mackenzie Blackwood selected by the New Jersey Devils. #NHLDraft - Very Barrie Colts | A website covering the Barrie Colts of the OHL. Mac entered the NHL Draft as the highest ranked goalie out of North America. The Devils also signed Colts captain Joseph Blandisi last season. 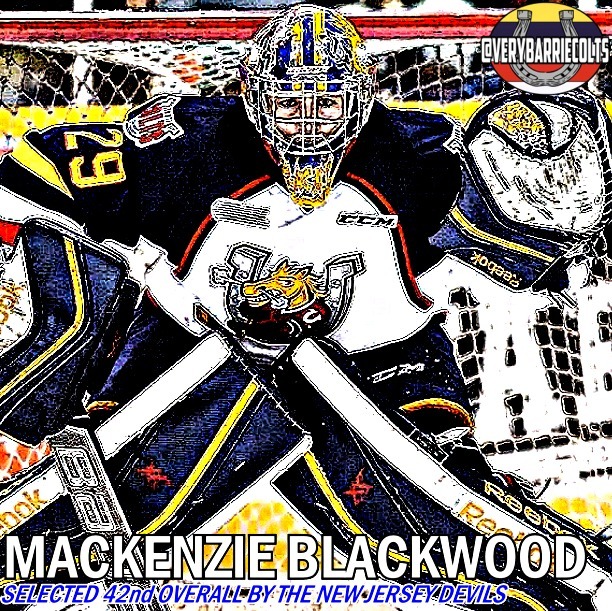 Here is our profile on Mackenzie Blackwood headed into the draft. Congratulations to Mackenzie and the New Jersey Devils.